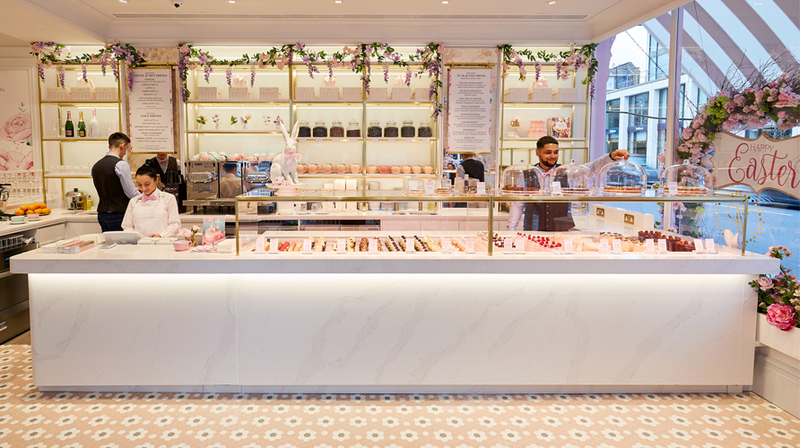 This spring, Chelsea welcomes a new pastel parlour to the King’s Road. 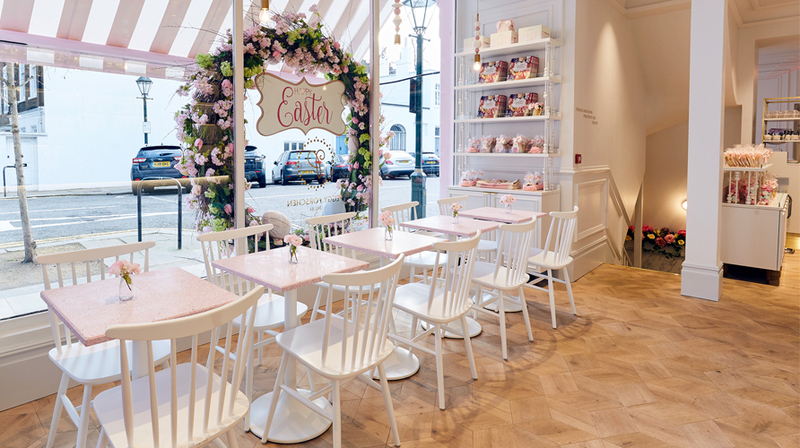 In a striking fairy-tale pink, Peggy Porschen opens its doors offering a new all-day dining concept and private event space allowing visitors to relax and enjoy the delicious sweet treats. 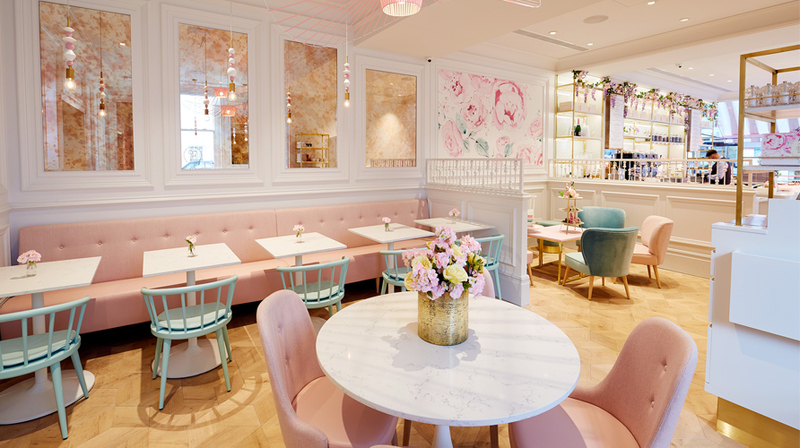 The Salon, the Lounge and the Pink Peony Bar all offer beautiful backdrops surrounded by flowers to enjoy the new all-day dining menu, and of course her renowned cakes and bakes. As well as the dreamy sweet treats on offer in the picturesque décor, cake lovers can delight in watching one of Peggy’s resident cake artists at the “live chef’s station” and witness award winning sugar craft and decoration techniques. Picking your favourite will be tough – so we suggest to try them all. Menu favourites will of course be present, including the ‘Best Cupcake in London’ (according Time Out); Banoffee, a banana chocolate chip sponge with banana and toffee centre, topped with banana frosting and a slice of fresh banana. The menu will of course have seasonal highlights, including the Speckled Nest Vanilla Cloud Cake; wonderfully light and fluffy vanilla chiffon sponge baked with real vanilla, layered with pink meringue buttercream and finished with speckles and a mini egg chocolate nest on top. Tummy rumbling just at the sound? Check out the full menu here. Keep your eyes peeled for the all-day dining menu arriving in Summer!